1. Get Free TV with an inexpensive VHF/UHF TV Antenna: While cable and satellite TV is virtually everywhere, cost can still be high. Local stations still broadcast their signal, but now that signal is in a digital format, which means the quality is higher than ever before. In fact, some are broadcast digitally in HDTV. Watch your favorite local stations and save a load of money by getting a digital TV antenna. 2. 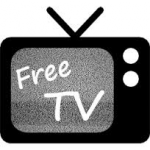 Stream TV from the Networks: You can stream many of your favorite networks online for FREE. NBC, CBS, and some other networks offer full episodes of some programs online. You can stream full episodes of ABC’s hit shows in a select, but growing number of areas. Check with ABC for the latest list of locations, to see if your city is included. 3. YouTube is a Free TV Goldmine: YouTube offers a large library of older TV Shows for FREE. If you love the old stuff, and have internet access, then check out YouTube’s free collection. I am talking about some awesome classics like Bonanza, The Honeymooners, The Twilight Zone, and many others. 4. One Week Free TV on Hulu: Hulu offers one week FREE of premium original series, full seasons of hit shows, current episodes, movies and more. Grab the popcorn, find your spot on the sofa, and prepare to binge watch. 5. Watch Movies Outdoor for Free: Communities around the country organize free movie events at parks and other community venues. Search your community newsletter, newspapers, or online for “free movies” and the schedule in your town. 6. Free Movies and TV Shows on DVD at your Public Library: Yes indeed, I have used this many time. All across the country, public libraries make available a large collection of movies and older TV shows on DVD. No way you have seen everything, so get into your library and see what is there. I love documentaries, and that is an area the library tends to excel at.